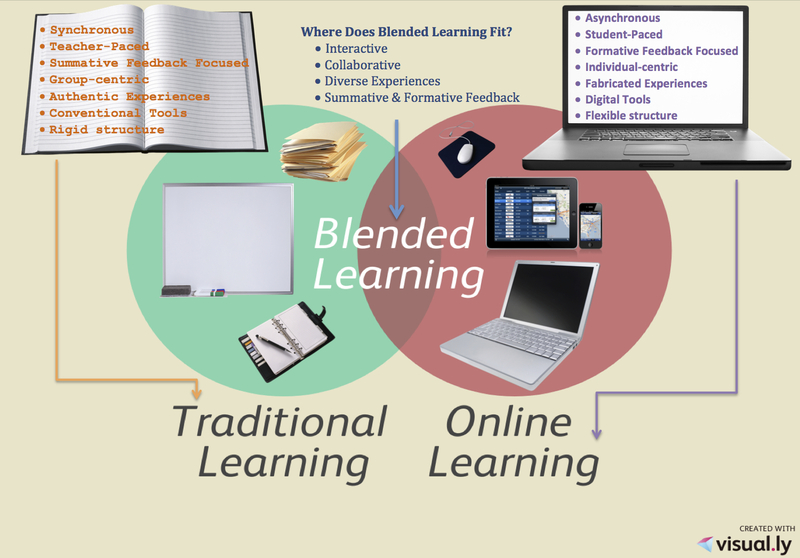 Does Blended Learning Have a Place in the Classroom? [INFOGRAPHIC] | Gary G. Abud, Jr. Consider the current teaching and learning that takes place in your conventional classroom. It’s likely that there are some great things going on there already. Class discussions, hands-on activities, and group projects may be a few of the first things that come to mind; however, there are some other elements of a traditional classroom experience that could stand improvement. Lectures, demonstrations, reading and practice worksheets are those components of traditional school that many students (and teachers) do not find as memorable or engaging. Sadly for some, many aspects of a traditional classroom can now be accomplished automatically using online technology. That means changes to instruction need to be made, less classrooms get wholly supplanted by computers. Online learning provides an opportunity to streamline some of the less-exciting elements of a traditional classroom by leveraging digital tools. 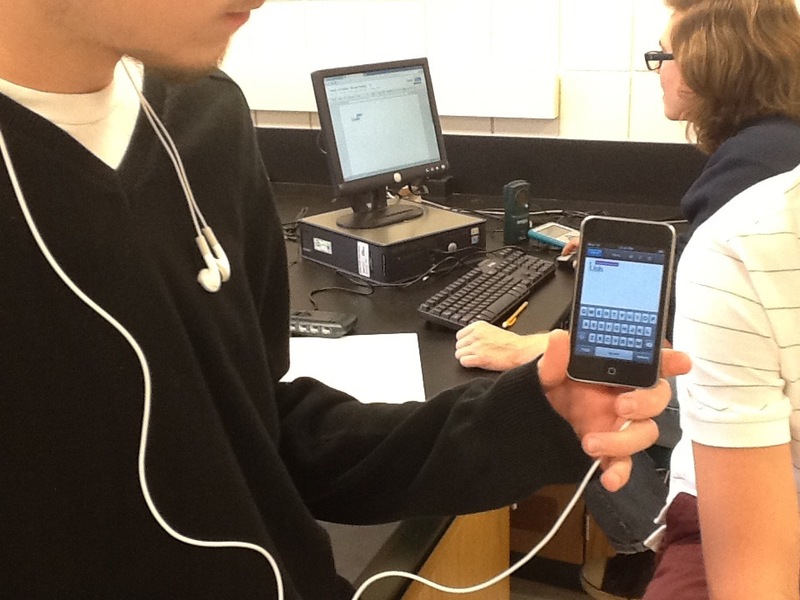 Video-based lecture has become all the rage in the flipped classroom; meanwhile, formative feedback and assessment for learning are made possible with services such as WebAssign. With the current library of massive open online courses (MOOCs) approaching a tipping point, you could easily farm-out some of the activities that take place in your own classroom to online services, freeing up classroom face-to-face time for more productive things. This potential has encouraged a foray into online learning by many educators. Currently, 45 states have an online school option for students in the K-12 system, though the majority of those opportunities exist for high school students. Online learning provides many benefits that the brick-and-mortar school building cannot; however, the virtual environments still lack the authentic experiences and genuine interactions of an on-ground course. One currently emerging resolution is a hybrid of both traditional and online learning, referred to as blended learning. The notion is nothing novel, actually, as hybrid or mixed-mode classes have existed for quite some time now, but the dedicated approach to understanding, developing, and implementing blended learning has become much more focused over the past couple of years. Of course, many educational trends and classroom strategies emerge and fade away all the time, but blended learning may be here to stay. Moving elements of a class to an online medium can serve as a resource to students that will allow them more flexibility and yet enhanced structure to how they learn. It makes a classroom become more portable, introduces students to essential digital skills they will need going forward in their careers, and provides an opportunity for communication and collaboration that are not otherwise possible. Considering the move to blended learning can be a difficult one if it is done without proper preparation and training, because the pedagogy necessary for online teaching is different from traditional face-to-face instruction. Once a teacher gets the feel of using online tools for teaching and learning, the blended environment can quickly enhance the classroom face-time and the overall experience. In the end, regardless of the delivery mode used for teaching a course, it is the quality of instruction that should be the focus. The move away from traditional approaches to teaching that involve simple transmission of information between individuals is a positive one regardless of how that is achieved. The desire by some to make face-time a more valuable and meaningful experience for students is an intention that, when coupled with a focus on great instruction, can yield tremendous achievement for students. Deciding the right approach to take for your class and your students will require some careful investigation and preparation. Investing time in an online learning component of your class will not yield much return unless the teaching that takes place instead is improved through professional development. If you’re still uncertain about considering blended learning, keep in mind that effective instruction will get you far without online components to your class, but either way something has to change to see improvements. Don’t let the online part of ‘online instruction’ fool you – it’s not about the technology; it’s about the teaching. ← Could Performance Pay Work For Michigan Educators?